I am in love…possibly a little obsessed. Last week, I had a friend on facebook “pin” an image from Pinterest to Facebook. Of course, I had no idea what it was, so I clicked on the link. It only took 5 seconds for me to fall in love. 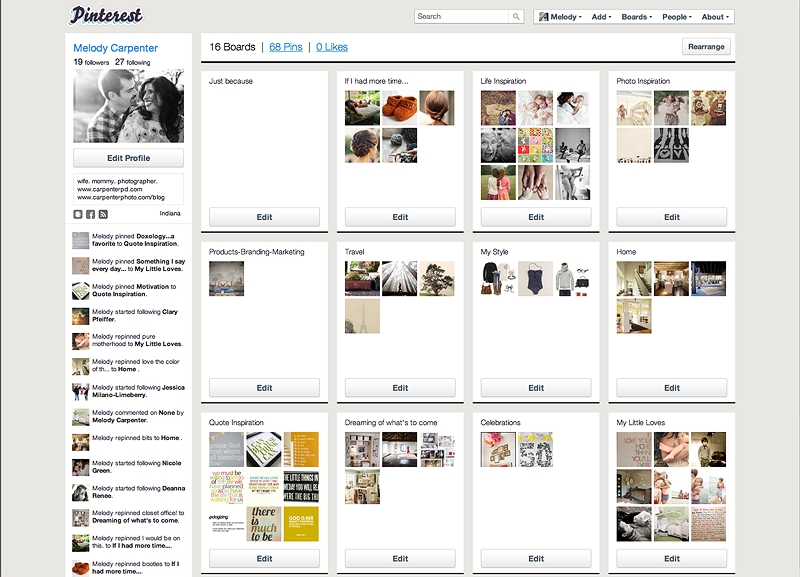 If you haven’t heard of this before, it is basically a place where you can build inspiration boards for your favorite things. It could be anything from decorating your home to finding ideas for your kids…the list goes on and on. It truly is a place where you can be lost for hours and hours. I’m not going to lie, I was a bit irritated at first because I thought, “Seriously?! Another place on the internet to get lost in?” Working at the computer does result in internet surfing distractions and I am trying to keep myself disciplined as much as possible. However, the more I played around with it the more I realized I was emptying some of my already stored thoughts into one location. I have upteen folders of ideas, things I love, on my desktop, in magazines, in cute folders, etc and this little piece of heaven has placed it all in one area for me. For me, this has become a creative outlet that I have been longing for. As a photographer, it is easy to be consumed by everything photography. This has given me a place to dream outside my own little box and has sparked some creativity that can be used in my personal life with our family and in our business life with photography. Check it out…I promise you will be hooked! Oh, the one downside is that you have to request an invitation. It’s not like facebook where you can start an account right away. At first, I didn’t get it, but now I realize that it encourages those who are really interested vs. those who are just wanting to find something else to do on the internet. 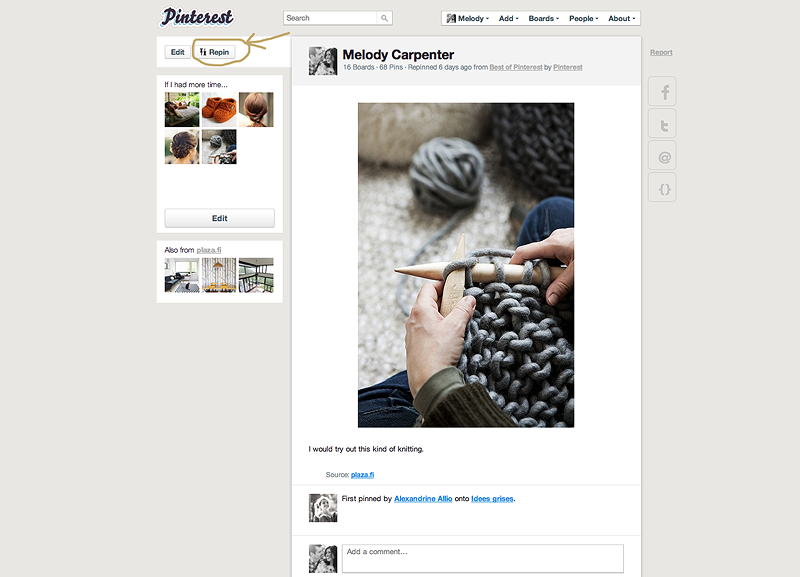 You can search for “How can I be invited to pinterest?” and links will come up to guide you through the process. If you know someone who is already on there, they can send you an invite. I think we are limited to the number of invites we receive, but I would be more than willing to send you an invite as long as I am able…just drop me a line.